Whether you use your surveillance camera system for home or business use, you probably rely on it for security on a daily basis. Therefore, finding out that something is wrong with your system can be incredibly frustrating. Fortunately, you don’t always have to spend a lot of money in order to get your surveillance camera system fixed. In many cases, you can use a few simple surveillance camera repair ideas West Palm Beach to get your system back up and running, and you often don’t have to spend a lot of money or replace your entire system. Although it might go without saying, you should certainly consider checking all of your wires and connections before panicking about your surveillance camera system. In many cases, certain wires can become loose and can make it appear as if your system isn’t working, so check every wire to make sure that you have a solid connection. Along with checking to make sure that all of your wires are plugged in correctly, you might want to take a look at your breaker box. Something could have occurred that caused a fuse to blow out or trip off; this situation can typically be resolved very quickly and easily, and you could get your surveillance camera system up and running quickly, easily and affordably if this is the only issue you are dealing with. Remember to always exercise caution when dealing with the electrical wires in your home, and consider hiring a professional to come out and take a look at your electrical system if you don’t feel comfortable doing it yourself. Unfortunately, there is always the possibility that someone has tampered with your system. Criminals can be sneaky when it comes to these types of things, and someone could have disconnected one or all of your cameras, covered them up to make them appear as if they aren’t working, stolen one or more of your cameras or vandalized your system and ruined your cameras. 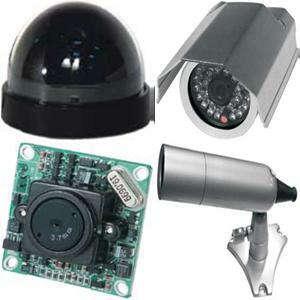 Therefore, you should take a walk around your property in order to take a look at each of your security cameras. Make sure that all of your cameras are turned on and that they are plugged in, and check for anything that might be obstructing the view of your cameras; not only could someone cover up your cameras, but there is also the possibility that a tree limb or other obstruction has gotten in the way of your lens. It only takes a few minutes to walk around your property and survey your equipment, but it could save you a lot of time, money and frustration if there has been a simple case of tampering. If you notice anything wrong with your cameras or other components of your system, write down which cameras have been damaged so that you can have them replaced. Many people rush out and completely replace their surveillance camera systems when they see that they have a problem, but this can be a serious waste of money if only one or two of your components aren’t working correctly. Therefore, you should consider assessing each of the components of your system so that you can determine which pieces might need be in need of replacement. For instance, you can typically purchase a new camera or two for your system for much less than you would pay for an entire system, and replacing a camera that has been damaged, vandalized or that simply isn’t working might be all you need to do in order to get your surveillance system fixed. Cameras aren’t the only components that can be replaced relatively affordably and easily; for instance, you might simply need to replace your system’s monitor, or you might need a new digital video recorder. In some cases, you might just need to replace a couple of wires, which can be very affordable. In order to determine which pieces will need to be replaced, you will need to do a bit of troubleshooting to ensure that you are handling the right part of your system. You should also check to make sure that each component you purchase to replace in your system is a piece that will work correctly with all of your other components. Sometimes it can be helpful to talk to a professional who knows a lot about surveillance camera systems and their repair; if you tell the person what is going on with your system, he or she might be able to troubleshoot the problem over the phone or via email. Although fixing your surveillance camera system yourself might seem easier and more affordable, it isn’t always possible to do so, especially if you don’t have a lot of experience in surveillance camera systems and their repair. This doesn’t mean that you should give up and purchase a whole new system without doing a bit more troubleshooting, however. In many cases, a professional surveillance repair company will have a few more simple surveillance camera repair ideas West Palm Beach to try in order to get your system up and running again. When you contact a professional to repair your system, make sure to write down everything that is going on with your system and everything that you have tried to get your system running correctly. The individual might be able to give you a few tips over the phone that you might not have thought about trying, or he or she might be able to assess the problem without even seeing your system. Then, you can get the advice you need for fixing your system, and you will know whether or not to replace or repair various components in order to get your surveillance camera system back up and running. In fact, it might cost less than you think to get your system back working as it should be. Contact us today for a free quote.